Photographed using a Nikon CoolPix 990 at Gilbert Riparian Preserve, Arizona, Sept. 4th, 2006 at flowers of Helianthus annuas. These regal bees are the only bumblebee regularly found in the Sonoran Desert. They are frequent at the flowers of Yellow Trumpet Bush and Desert Willow. 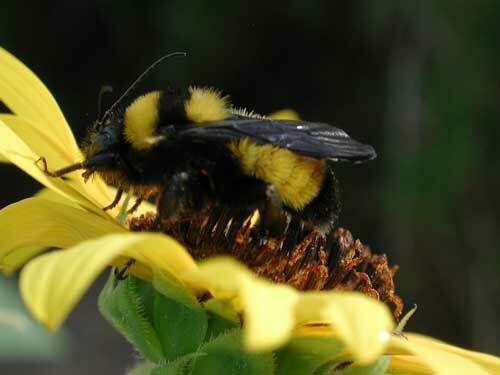 Bumblebees across America are threatened!